Is Link Building Still Valid? Is Link Building Still Valid? Google and other search engines have a variety of metrics they use to gauge which sites are most relevant to the keywords that the searcher searches. This includes how quickly your site loads, the content your pages hold, and the relevant links that point to your site. Link building is the process of attaining links from other websites back to yours. When another site links to yours for a relevant keyword, it increases the “trust”, or quality Google has that your content is useful or relevant. This makes it more likely to link you over other sites, raising your ranking and increasing traffic. Just because link building is effective doesn’t mean you can spam them! 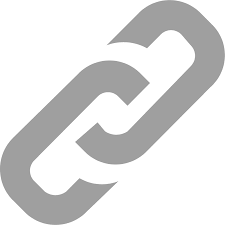 The quality of your links is more important than how many you have, and the process of spamming links can offer no benefit or even harm your ranking, making it important that you only use strong links. A strong link comes from content that is relevant to the keyword, well-written without keyword spam, and from another trusted domain. For example, you want to maintain between 1-3% keyword densities on articles so that they are not considered spam. Including the keyword in every other sentence is a sure way to lose the benefit of the link altogether, or even be penalized by Google.